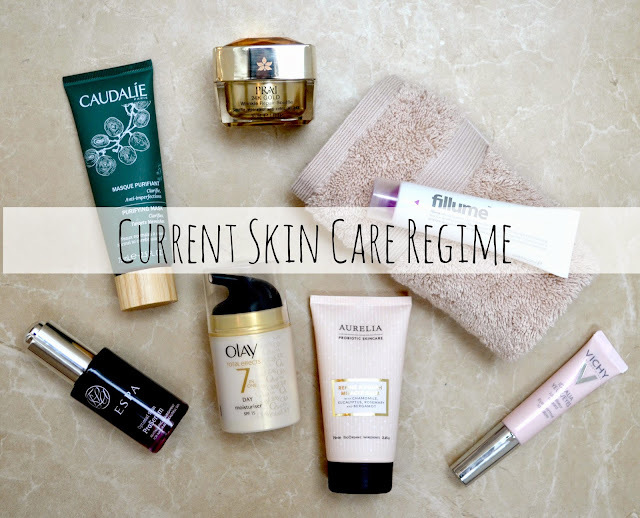 I haven’t done a skin care post for a while now, so I thought I’d share what I'm currently opting for. Some products are new-iah launches and other are just goodies. My day time serum of choice is currently Indeed Labs Fillume (£29.99/30ml Boots). 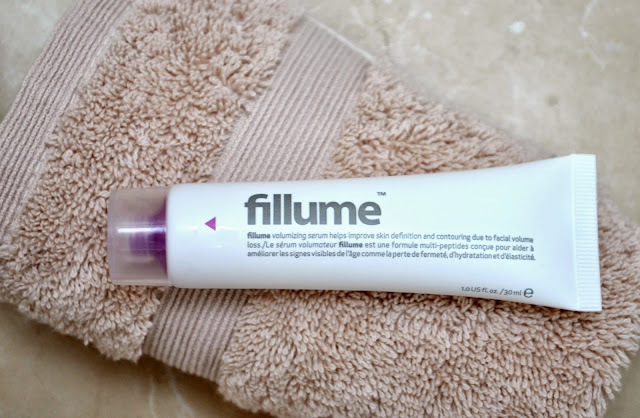 Last summer I was loving their Hydraluron serum which is great for hydration (read more here) but the Fillume range is designed to help plump out and volumise the skin, combating the loss of firmness that comes as your skin ages and helps to push out contours and wrinkles. As I’m now the wrong side of 30 I’m always on the look out for products to help turn back time! I've been following this with Olay Total Effects 7in1 Day Moisturiser with SPF15(£14.99 Superdrug) which has recently been added to the Total Effects range, which has 40% more vitamins than it predecessor. 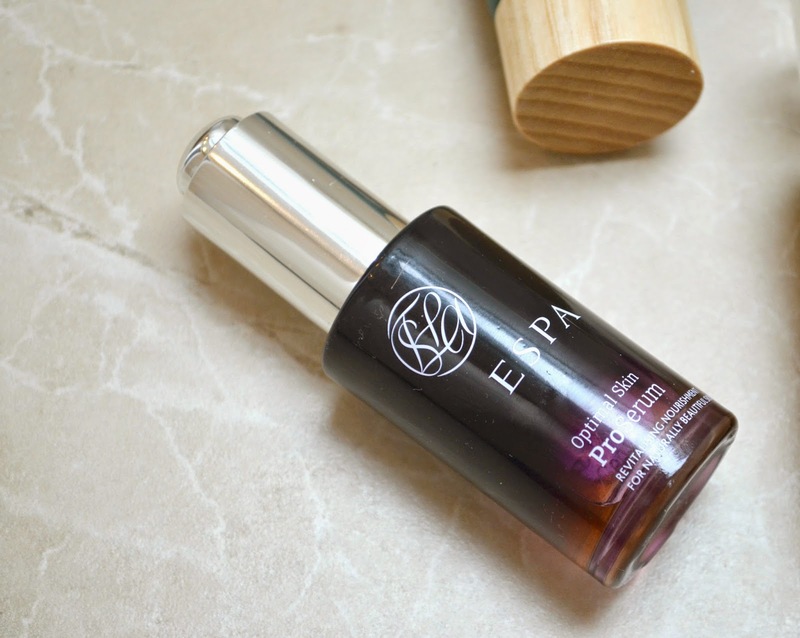 Containing Vitamin B3 which has anti-ageing benefits and Vitamin B5 and E to help deliver moisture. My skin gets on really well with Olay products so is always my drug-store choice and knowing it has even better ingredients makes it even more appealing. I’m terrible at remembering to put on eye cream - but when I do I’m reaching for Vichy’s Idealia Jeux Eyes (£23 Look Fantastic) which is great for dark circles. The shimmery pink colour helps minimise the dark colour and reflect light and the cream itself hydrates the eye area and improve the texture. I love the applicator (which I totally forgot to take a picture of!) which is soft silicon that you can use to apply the cream, but I do find it needs patting in with a finger after too. Before bedtime I do like to use a facial oil, as I find them too much for the daytime and I’m currently loving ESPA Optimal Skin ProSerum (£48 Libertys) which contains a bucket load of vitamins and plant extracts to brighten and even skin tone and it smells AMAZING. 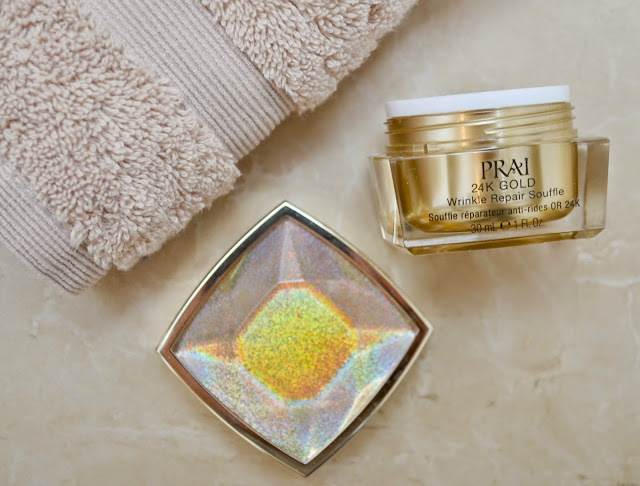 On top of the ESPA oil, I’ve been adding PRAI 24K Gold Wrinkle Repair Souffle (£29.50 for Duo QVC) which apparently has gold flakes in (I can’t seen any) and helps to add radiance to your complexion. But it does hydrate my skin nicely, I do love the packaging and anything fighting any future wrinkles is ok with me! I don’t have loads of time to dedicate to sitting around with a face mask on, but I do try to pop on a mask whilst I’m having a longer shower - when thee is shaving/hair washing involved! 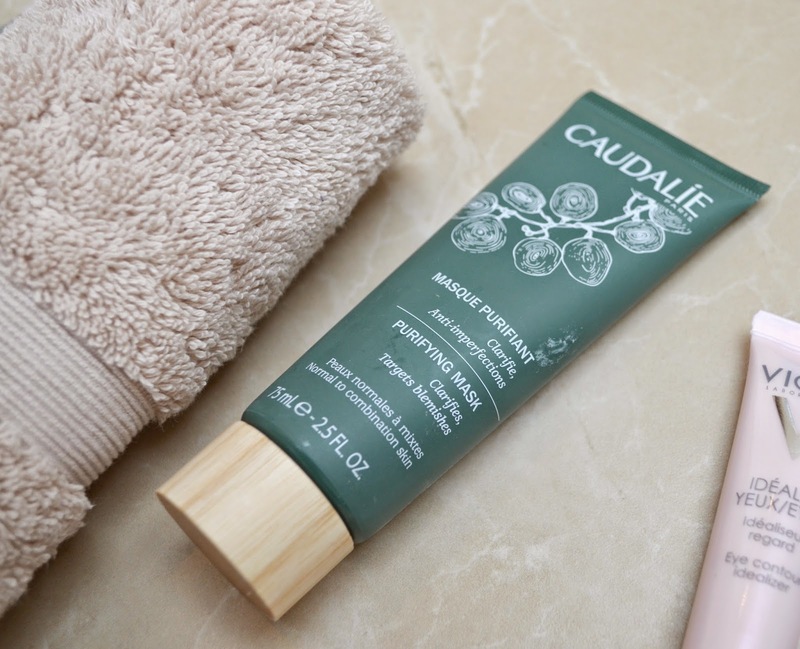 Caudalie’s Purifying Mask (£22 Caudalie) is clay based - removing impurities and absorbing excess sebum which can lead to blocked pores. 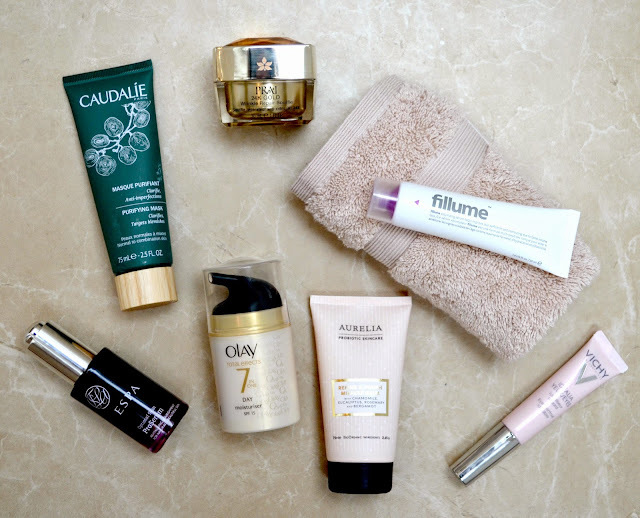 For a quick pick-me up, I love Aurelia Refine and Polish Miracle Balm (£57 Liberty), which you op on dry skin and either wash off after massaging into your skin, or leave on as an exfoliating mask for 5 mins. The beads and fruit enzymes take away the top dead skin cells leaving a fresh, more radiant layer below. Fabulous.